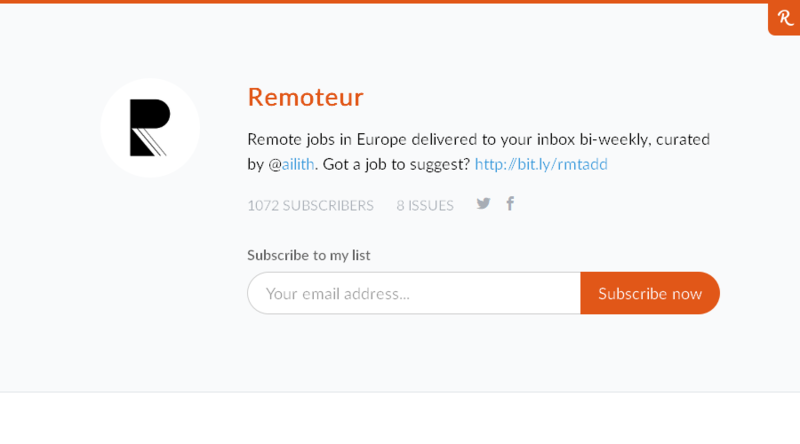 Remote jobs in Europe delivered to your inbox bi-weekly, curated by @ailith. Remote jobs for digital working nomads. Work remotely from your home or places around the world. Weekly tips, articles, podcasts and jobs on remote work.